Studio Khara’s Hibiki Yoshizaki is MCM’s Anime Guest of Honour. Designer on Evangelion 3.0, director of ME!ME!ME! coming to London this October..
We’ve made it to the month of October and that means we’re now on the road to MCM London Comic Con at the end of the month! Taking place at Excel London once again, it promises to be another fantastic event full of unique opportunities across the board for attendees. If you haven’t already, BUY TICKETS TO MCM LONDON COMIC CON HERE! Read on below for all the details you need to know as we welcome director, designer and director, Hibiki Yoshizaki (whose notable credits include Evangelion 3.0, The Dragon Dentist, Japan Anima(tor) Expo) to MCM London Comic Con! Yoshizaki participated in The Dragon Dentist, a feature length film by Studio khara by providing direction and contributing storyboards. Yoshizaki has also directed the music video Utada Hikaru / Sakura Nagashi (Eva 3.0 version) and the TV advertisement Kirai, demo, Suki (“Hate it, but love it.”) for HAL College of Technology & Design for its 2016 academic year. As has become tradition at MCM London Comic Con, there will be the Anime Guest of Honour Panel taking place! 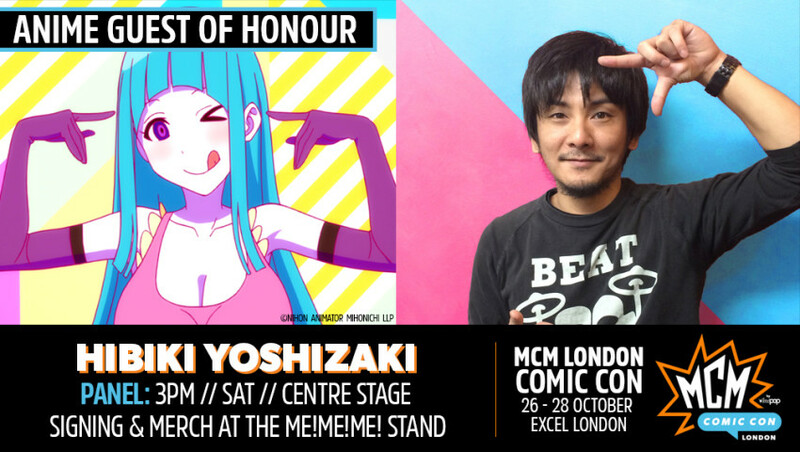 Join us on Saturday 27th October for the Hibiki Yoshizaki Guest of Honour Panel Talk “Behind the Scenes: ME!ME!ME!” at 3pm at the Centre Stage. Entry to this talk is absolutely free, so please come along and be apart of this special talk! You will also have the opportunity to meet the man himself as he will be taking part in 2 free signing sessions across the weekend – one on Saturday and one on Sunday. Both signing sessions are free! As we’re celebrating the release of the “ME!ME!ME! BOOK!BOOK!BOOK!” art book, we’re happy to confirm that there will be copies of that on sale which you can purchase and then get signed by the man himself! Alternatively you can bring one item to get signed with you or we’ll have a special signing card that he can sign for you on hand – and that’s free too! Both of these signing sessions will be taking place in a designated area just outside of the ME!ME!ME! exhibition space!Want to know more about that? Read on below! For the first time ever outside of Japan, in conjunction with Studio Khara we will be bringing an exhibition to MCM London Comic Con that focuses on a very famous short film from the Japan Anima(tor) Expo series, ME!ME!ME! In this exhibition space a variety of artwork relating to this short film will be on display and you’ll even be able to see watch the short film too as it will be screened there! It’s worth noting now, particularly if you’re familiar with the short film, that due to… let’s say some risque imagery within the short film, the exhibition space will be restricted to attendees over the age of 18. So please make sure you bring some I.D. with you, as there will be checks to enter the exhibition space as required. It will be a one of a kind experience that’s completely free to experience as part of your admission to the MCM London Comic Con event and we hope you’ll take the opportunity to spend some time in there and celebrate this very unique project with us across the whole weekend. 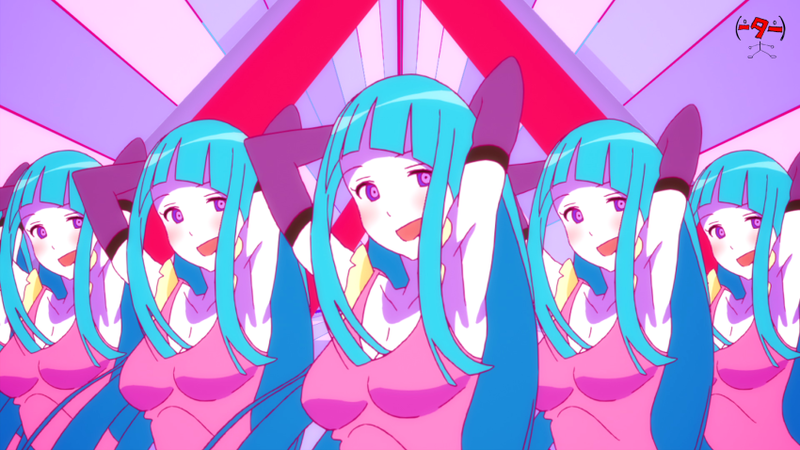 The short film animation “ME!ME!ME!” was distributed on the Japan Anima(tor)’s Exhibition website in November 2014. Founded in 2006 by the creator of Evangelion, Hideaki Anno, who serves as the studio’s president. They are the studio behind the current Rebuild of Evangelion film project. The company also devised the Japan Anima(tor) Expo short film project which was created to encourage talented individuals in the anime industry to bring new innovative and unique works to life. From the official website: The short film series “Japan Anima(tor) Exhibition” presented by Studio Khara and Dwango. ME!ME!ME! BOOK!BOOK!BOOK! exhibition will open throughout all three days of the event and is completely free to enter as part of your admission to the event. The exhibition is restricted to attendees aged 18 or over. I.D. checks will be enforced as needed. We’ve got lots more to tell you about as far as our (Anime Ltd/All The Anime) plans in general for MCM London Comic Con go, so expect to see all the details pop up within the next few weeks. But we hope you’re excited at this very unique opportunity to meet Hibiki Yoshizaki and explore the vibrant world of his work ME!ME!ME from the Japan Anima(tor) Expo. We can tell he’s very excited to be coming to London to meet attendees, so we hope you’ll give him a jolly welcome over the weekend!